Does someone you know have Aphasia? This isn’t a word we hear often. People usually only learn about Aphasia when it directly affects them or a family member. You may have met someone with aphasia and didn’t really understand what was wrong, but knew something wasn’t quite right. Here is a breakdown of what aphasia is and how we deal with it in speech therapy. Aphasia most often occurs when someone suffers from a stroke, but it can occur when there is any type of brain damage such as a brain injury. A person with aphasia may have trouble understanding, speaking, reading, or writing. Aphasia DOES NOT cause a loss of intelligence or ability to think. People with aphasia may describe it as knowing what they want to say but unable to form the words. It is similar to when you have a word on the tip of your tongue but can’t quite think of it. When someone is newly diagnosed with aphasia, it is important that they go to speech therapy to try and regain as much language as they can. The longer someone waits to go to therapy it decreases the chances of making progress. If we break apart language into a couple different parts we can look at different symptoms of aphasia. Here are some of the symptoms we may look for in speech therapy. They can’t think of words. They use made up words. They have difficulty forming sentences; maybe using single words is easier. This is when there is difficulty understanding what others may say whether it be because they are talking to fast or because it is too noisy. A person who has difficulty understanding may have difficulty correcting their own sentences because they don’t hear or feel like what they are saying is wrong. Any difficulty reading whether it is with books, a form to fill out at the doctor’s office, or a grocery list. Difficulty with spelling or writing words in the correct order. Difficulty with using math for basic activities such as paying a bills or adding and subtracting. In speech therapy, we treat all these impairments. 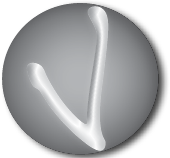 We use communication-based and impairment-based strategies. Communication-based therapy focuses on the “now.” We look at ways to help communication now, so that our patient can communicate basic needs. Impairment-based therapy focuses on repairing the impairments that a patient may be suffering from. This include programs such as melodic intonation therapy. There are certain strategies you should employ when conversing with someone with aphasia. It isn’t always easy to communicate with someone suffering from aphasia but there are ways that it can improve just by using some simple strategies. Give them context or tell them the topic of what you will be discussing. Speak slowly and be direct. Don’t speak loudly or yell, they can hear you just fine. Maintain the topic that you are discussing. If you change topics, be sure to let your communication partner know. Use visuals if necessary to help explain. It may help to write things down if they are not having difficulty reading. Try to ask questions that have “yes” or “no” answers. Don’t finish their sentences, allow the person time so that they can express what they want to tell you. Let the person make mistakes and let them try to fix them on his/her own. Wait until they ask for help before jumping in. Aphasia is frustrating for everyone involved! Although humans are able to communicate, we all know that we aren’t always the best communicators. Work hard at being patient with someone who is having difficulty with communicating. It takes hard work to make sure that everyone’s wants and needs are being addressed. 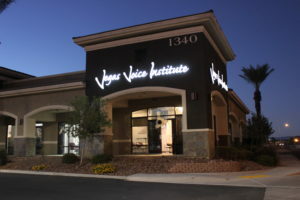 Look up a speech therapy office like ours at Vegas Voice Institute, to help you and your spouse, family member, or friend improve their ability to communicate with others!